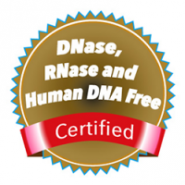 Among its many contributions to life science research, GoldenGate Bioscience is acknowledged for its participation in the development of filter barrier tips for use in the emerging technique of molecular biology, back in the 90’s. AeroGard™ Filter Barrier Tips are now available in both regular polypropylene and the company’s innovative LFR™ (Low Fluid Retention). GoldenGate’s LFR™ plasticware is the product of over 10 years of research and development in resin technology. 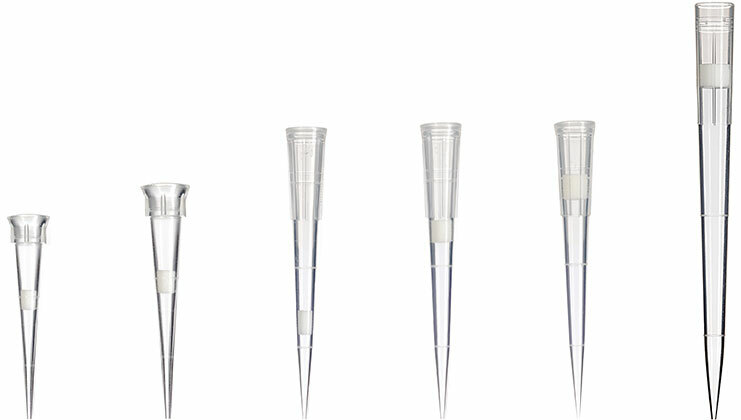 This, together with its traditional diamond polished, ultra smooth mold surfaces, delivers maximum accuracy and reproducibility when pipetting liquid in microvolumes, resulting in superior pipette tip performance. 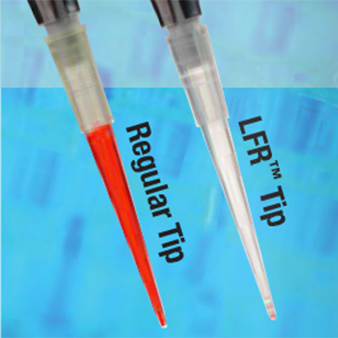 In addition, through its optimal fluid transfer, LFR products ensure maximum recovery of precious samples and reagents from pipette manipulations. AeroGard™ porous barrier filters in Ultra High Molecular Weight Polyethylene (UHMWPE), block aerosols by coalescing radio-active, chemical, or biological contaminants before they can come in contact with pipettor shafts, and effectively eliminate unwanted signals induced by residual RNA/DNA transferred in trace amounts by aerosol cross-contamination. The filter is completely inert and consistent in porosity – 20 micron allows the air to pass through, but not any aqueous solutions. 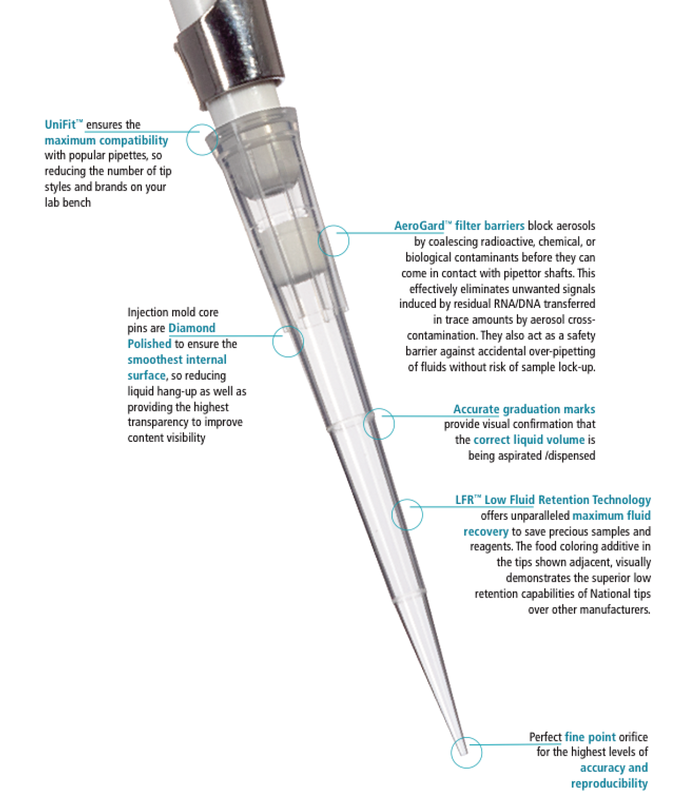 It also acts as a safety-barrier against accidental over-pipetting of liquid without risk of sample lock-up – this allows samples to be recovered. CMC-free, non-reactive barriers are manufactured without surfactants, or other extractable components, to precise air-flow standards. AeroGard™ UniFit™ are universal-fitting pipette tips, and so engineered to fit practically all popular manufacturers of single and multichannel pipettes, so reducing the number of tip brands and styles required in a laboratory.